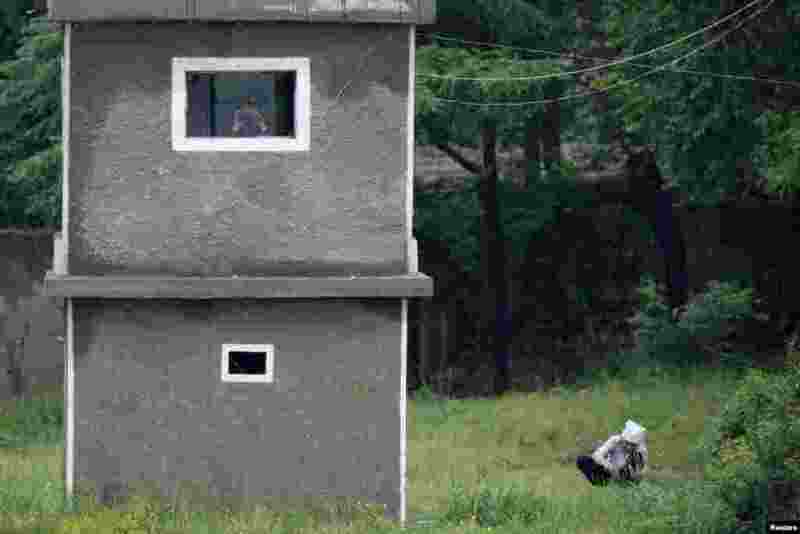 5 A North Korean soldier uses binoculars inside a guard tower as a woman works on a grassland on the banks of Yalu River, near the North Korean town of Sinuiju, opposite the Chinese border city of Dandong. 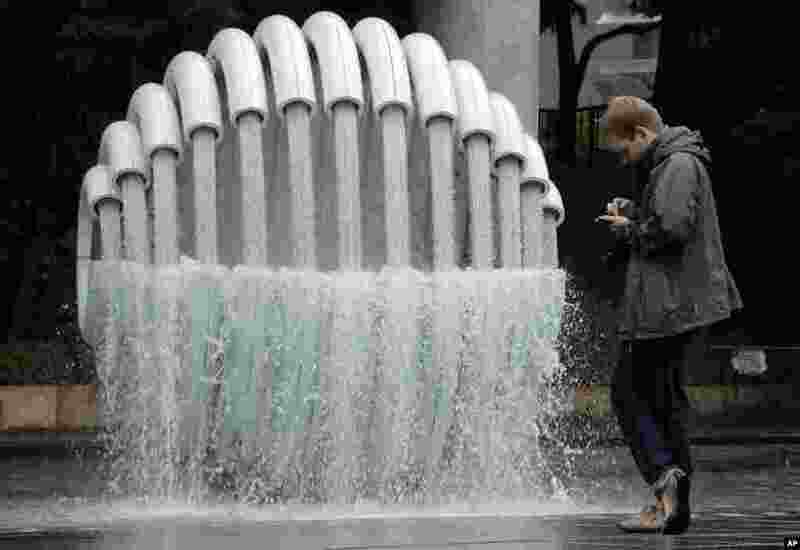 6 A man uses his mobile phone in front of an artwork at a park in Tokyo, Japan. 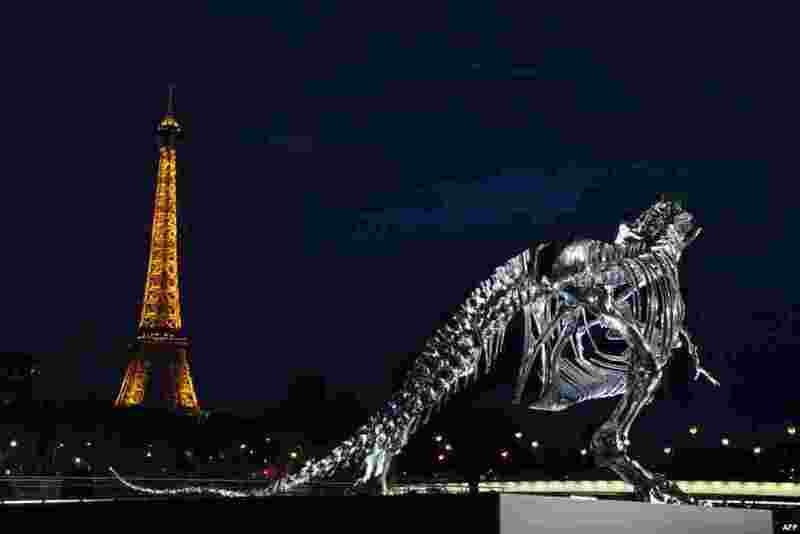 7 A giant chrome brushed aluminium skeleton of a Tyrannosaurus Rex dinosaur, made by French sculptor and painter Philippe Pasqua, stands at the pier of riverboat company Bateaux-Mouches in Paris, France. 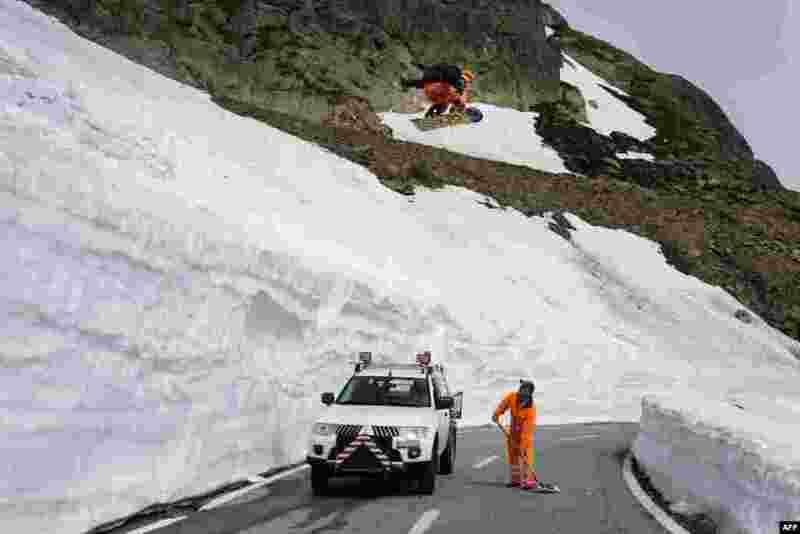 8 Snowboarder Sebastien Jam jumps above a man on the road of the Grand-Saint-Bernard pass. Connecting Switzerland and Italy, the Grand-Saint-Bernard pass is due to reopen for the summer season with a two week delay on June 14, 2013.